Union County, NJ – Union County Clerk Joanne Rajoppi invites members of the public to visit the historic Courthouse Rotunda from now until November, to view a new exhibit of unique presidential campaign memorabilia from years past. The exhibit includes campaign buttons, original newspaper clips and historic election results along with ballot memorabilia. “The new exhibit also adds visual interest and depth to our online repository of Presidential Election history,” Ms. Rajoppi added. The County Clerk’s website, ucnj.org/county-clerk, now includes statistics and candidates for Presidential Primaries and General Elections from 1920 to 2012. The exhibit is designed to grow as the 2016 election season progresses. Union County residents who would like to contribute their personal memorabilia can contact Donna Connell at 908-527-4787. As County Clerk, Ms. Rajoppi has been instrumental in historic preservation and educational initiatives in Union County. One recent highlight was a four-year, rotating exhibit in the Rotunda that marked the 150th Anniversary of the Civil War. Ms. Rajoppi also publishes the annual Election Calendar featuring historical photographs and other images along with important election dates and deadlines. Copies of the 2016 Election Calendar are still available. To have a free copy mailed to you, use the online request form at ucnj.org/county-clerk. 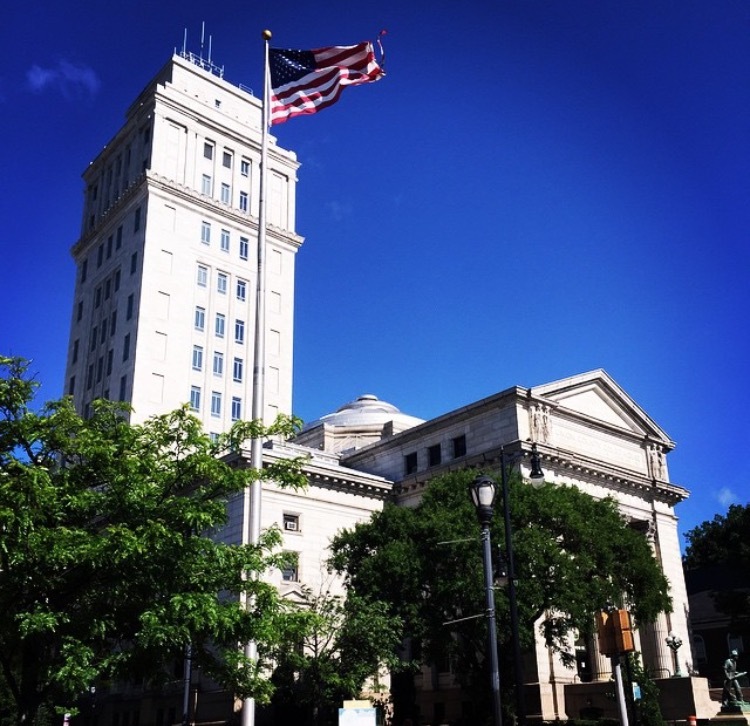 Visitors to the County Courthouse who wish to use a Vote-By-Mail Ballot for the upcoming June 7th Primary Election can stop by the County Clerk’s Main Office on the second floor and pick up their ballot in person. “Any eligible voter can use a Vote-By-Mail Ballot, and our “One-Stop” service provides a secure drop-box so you obtain your ballot, fill it out, and cast it within the same visit,” said Ms. Rajoppi. The One-Stop service is also available at the County Clerk’s Annex, located at the Colleen Fraser Building in the county services complex at 300 North Avenue East, in Westfield.